How to Host on Twitch? Why You Should Host Another Channel? How to Start Hosting another Streamer? Steps:-How to Host on Twitch? How to Host on Twitch on a Mobile? How to Host on Twitch: How to Get Other Twitch Streamers to Host You? How to Host on Twitch: Why You Shouldn’t Host Another Channel? Today we are going to share about Host mode that permits viewers to watch another channel’s without leaving your chatroom. This is the best way for the users for the promotion of their content in their community.You people will able to share your content with your friends and stay connected with them even in offline mode. You can say this is the best way to broadcast the live stream of another channel to their own audience. When you as an owner is not broadcasting your content but you still want to stay your channel active the host mode is very helpful for you. With the help of this, you can promote other users to stay active and this is an effective strategy for your channel too. This is the best mode as it gives the ability to the broadcaster to host a live broadcast of other’s channel and they are able to host any channel they want to host. Here you are going to get the clear idea about How to Host on Twitch? Read Also: How to Stream on Twitch? If you are thinking that hosting is compulsory for you then it’s not like that. It is optional for you. If you don’t want to become an active member of the twitch community then it’s all up to your wish. If you want to show to your audience that what kind of streamer you love to watch then hosting is very helpful to you. So, there is a need to know How to host on Twitch? 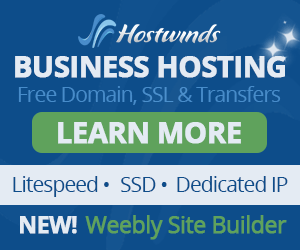 You will be able to get the benefits from the free promotion that hosting can give you. It will help your community to stay together even when you are offline. You would able to do promotion for other broadcasters and it will also allow you to share your favorite content with your audience. It will also allow you to check events as well as watch your favorite broadcasters on your own channel. Here you are going to get answers that are associated with How to host on twitch. So, scroll down to get a better idea about it. If you want to host another channel then you only need to type /host into your own channel’s chat and after this, you have to type channel’s username also. If you want to turn off the hosting then to do so you just need to type /Unhost. You can also activate the host through the iOS and Android Twitch apps. For this, you just need to click on the gear icon that will be available on the selected channel. You have to choose the option of hosting from the drop-down menu. Read Also: How to Find Twitch Stream Key? It is a very common method to auto host a channel. This is the easy method and for this, you just need to make a special list of a variety of channels. When you will go offline then your channel will automatically select anyone from the list to auto host. This feature can follow the order of the list or can choose the option randomly. To set up auto hosting is not at all the tedious job. You just need to go to Twitch Channel Settings and turn it on. After this, you can add as many as channels in it. One important thing that you need to consider is to save changes every time you will update the setting. First, you have to go to the https://www.twitch.tv in any web browser. You can use any one of the different web browsers of your choice on Mac as well as Windows computer. Now signed to your twitch account by clicking the “ Log In” in the top right corner of the page. If you still don’t have the account then you need to create the account by going to the top right corner. Now in the third step, you have to Click “Channel”. When you will do so to the right side you will get your channel with your chatroom. Now you have to Type/host followed by the name of your channel. You will remain active with your chatroom. But all the views that you will get will be toward your hosted channel. To stop hosting a channel type /Unhost the chat room. If you want to know how to host on twitch on mobile then first open the Twitch app. This app will look like a speech bubble and it has a purple icon. You can download this app from the Google Play Store on Android. You can tap the icon to get it to your phone. Log In: If you have your Twitch account then you can directly use your username and password to log in. If you don’t have the one then you can sign up. Tap on Profile Picture: Now you have to tap on your profile picture. If you are using the Android phone then you will get your picture on the upper-right corner. But if you are using iPhone and iPad then this profile picture will be on the left corner. After clicking on it you will get your profile options as well as content. Tap on the Chat Tab: Now you have to tap on your Chat tab. You will find this tab below your profile image. This will be the fourth tab below your profile picture. Now after clicking on this, you will get the Channel’s chat. Type Host: Now you have to type /host followed by the name of the channel in your chat. You will remain active with your chatroom. But all the views that you will get will be toward your hosted channel. To stop hosting a channel, type / Unhost in the chat. If you want to seek more exposure then being hosted on Twitch is the best way for you. You can encourage another streamer to host you on their channels too. You people should add a host list that will tell that who are hosting you to your stream. When viewers will check this list to your Twitch layout then they will be encouraged toward hosting your broadcast. This will help them to promote their own account too. To set this quickly you can use free services called StreamLabs. It’s better to ask your friend to host your channel. If you will ask any strangers then there is a possibility that that person considers you as spam. If your friend is not streaming then it is a better idea to ask them to host your channel. You can also ask your viewers to host your channel. There are many Twitch users if they like you then they can give you every possible support that you need. You can remind them what they can do for you. They will surely follow your instructions. When you are hosting any other channel this can create a problem to send your message to your audience form your channel. It will hide your message and also replace the video being hosted. When you host others channel then it means you are assigning responsibility to another Now after this, you can not control that user and that person can play anything of their choice. They could be play games and this could be a bad match for your channel’s audience. PreviousHow to Stream on Twitch? NextTwitch Stream Key-How to Find Twitch Stream Key?